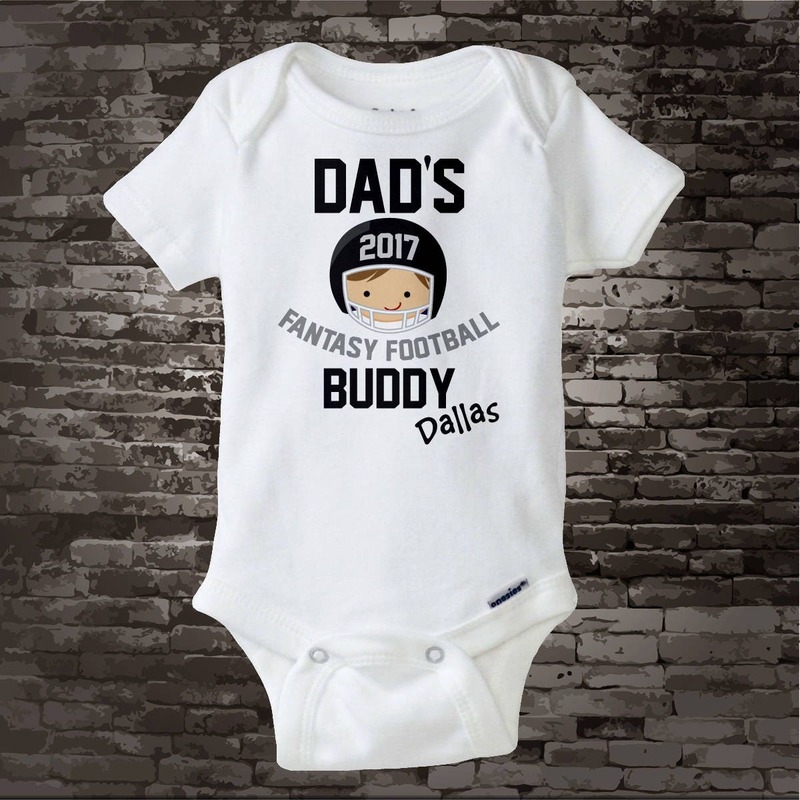 This cute tee shirt or Gerber Onesie with awesome Dad's Fantasy Football Buddy can be personalized with your child's name below the art and is available in many sizes and styles. 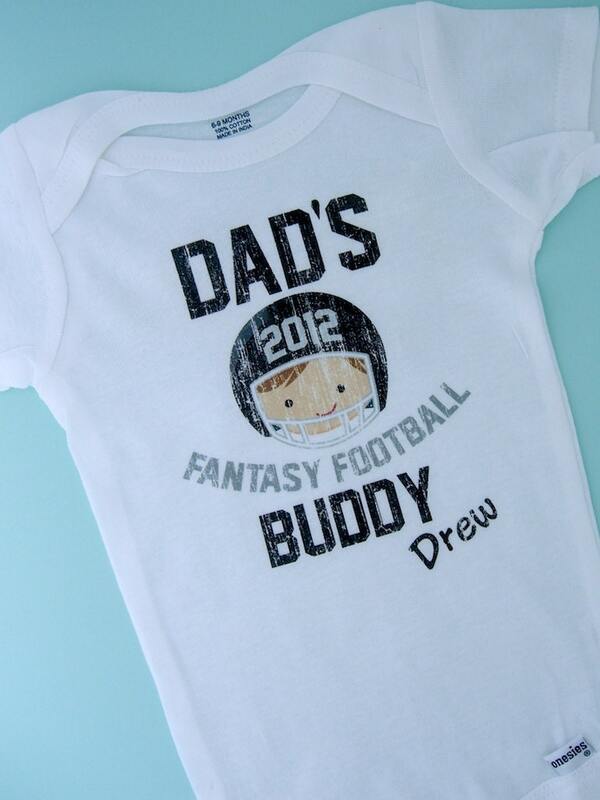 Perfect gift for that future Fantasy Football Team Captain or the son of a Fantasy Football Lover. Year you want on helmet. Color of hair you want for child. Whether you want it distressed or not. 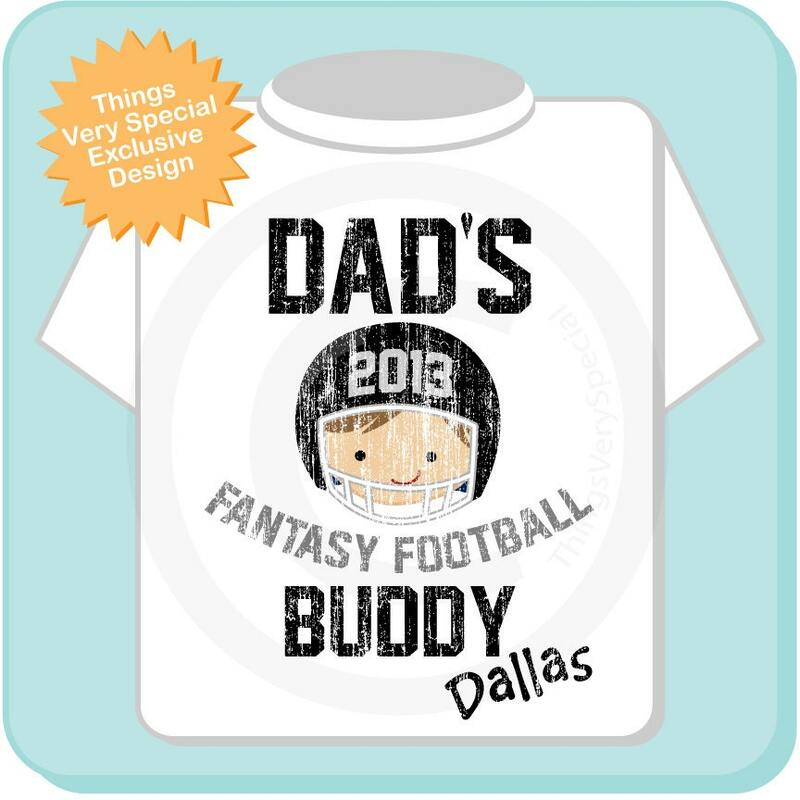 I've been ordering this for 4 years now. It's something we collect and my husband really loves it. Working with this seller is always a pleasure. I literally received this item within a week from ordering. She's always so prompt and responsive. Absolutely will be ordering from her again and again. 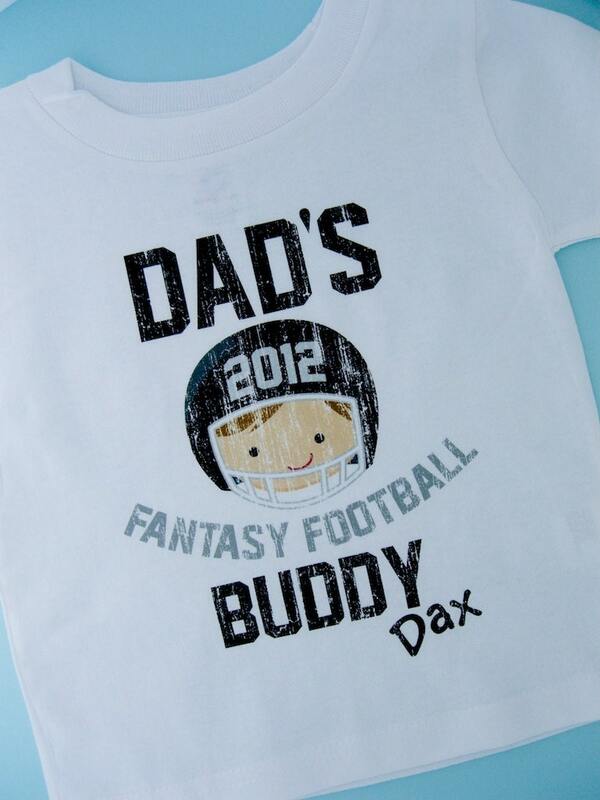 Daddy and son both loved this fun shirt for football season! Order arrived quick! Exactly what I ordered! Well made! 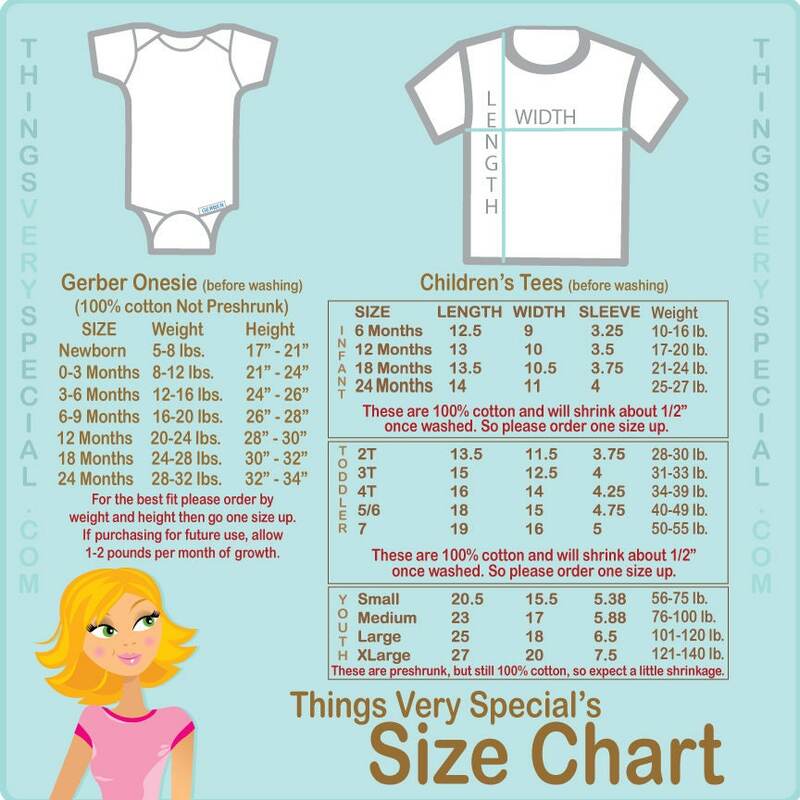 I love the personalized onesies! The seller gets back to you right away when you contact them, which I appreciated greatly!